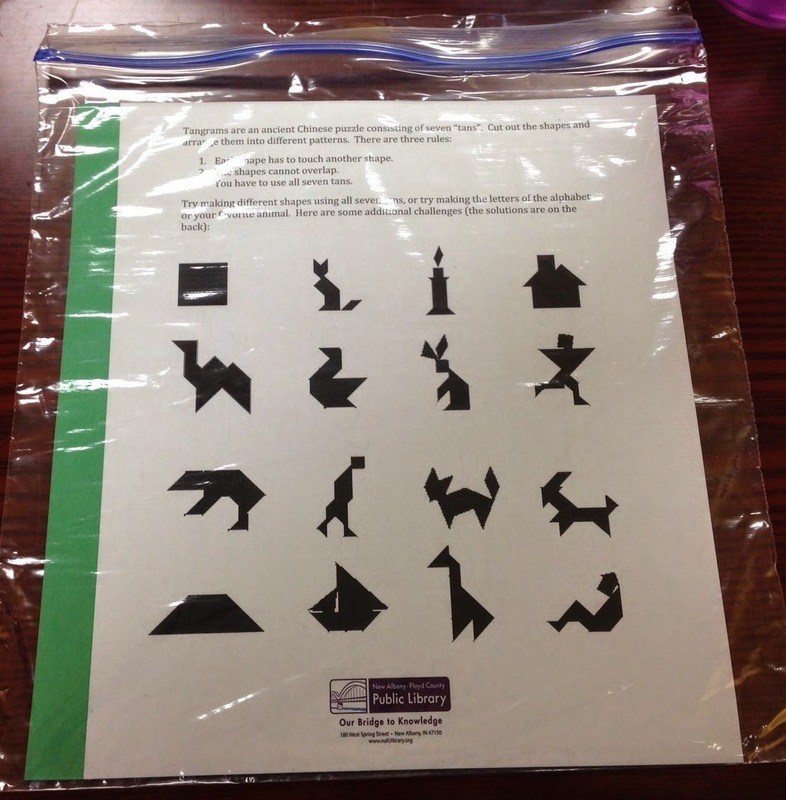 The Tangram Challenge is one of the cheapest and easiest Science Activity Packs to put together. Tangrams are a Chinese puzzle consisting of seven "tans" (shapes). The challenge is to create each of the shapes included using all seven tans. They can't overlap and each shape has to touch another shape. If you search Google images, you get LOTS of ideas of tangram challenges and you can find the shapes used in tangrams, too. Our copier will take construction paper run through the manual feed, so it was super easy to run off copies of the tans that kids can cut out. Then we included a sheet of challenges for them (with solutions on the back side). We ordered a pack of 300 sheets of construction paper from Amazon for $9.29, but you may have an even cheaper source or you may have some on hand already! Stay tuned for more about our Science Activity Packs! This year, we've revamped our Summer Reading Club prizes to get rid of cheap, plastic toys and encourage kids to keep exploring and learning after they're done with the SRC. Check out my post on revamping our Summer Reading Club prizes for a full list of Science Activity Pack ideas!